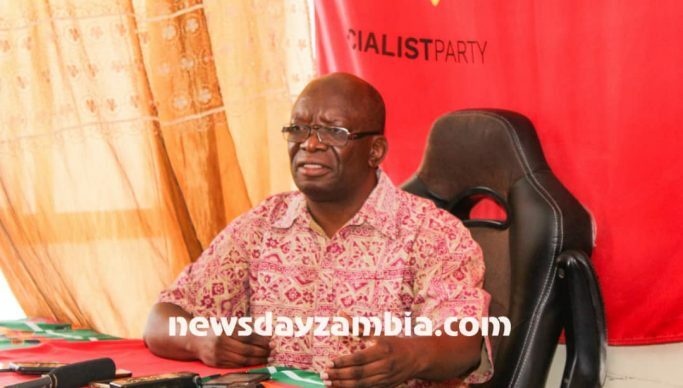 OPPOSITION Socialist Party says the energy policy of a country like Zambia should exploit its comparative advantage in abundant water resource, favourable weather conditions, availability of bio fuels among many others. Commenting on the proposed increase in electricity tariff, party General Secretary Dr Cosmas Musumali told newsdayzambia.com that there had been comprehensive research done on the energy sector with recommendations on how to grow supply capacity. Dr Musumali said some of the reports done on Zambia were very impressive and the country could generate enough electricity for domestic consumption and export. “Energy is a cost that shapes the whole economy, with energy just like communication it’s a factor of production and it has an influence over the outcome of everything else. So, your energy sector should be the one that gears towards at production of energy at the lowest cost. And that is where we are getting it wrong as a country,” he said. Dr Musumali said Zambia was using energy and promoting energy by pushing up the cost to attract foreign investment. “The attempt is that, at a certain level these tariffs become attractive enough so that the country can get foreign investors coming into the country investing in the energy sector, but as you are doing so, you are making it very difficult for those that are producing. The cost of production and the unit cost of production of many sectors of the economy go up,” he said. Dr Musumali added that there was a mismatch where most of the energy was consumed by the mining sector with the biggest proportion of up to 50 percent in certain cases. “The mining sector get electricity at lower cost than the average households. When you hear of increases these are increases that go to poor people that are already burdened, it is unacceptable. Do we need more energy in Zambia?, the answer is yes, we do. Do we need to save energy the answer is yes, there are a lot of areas where we can save energy and have more energy saving equipment and have more energy saving procedures in the way we run our factories,” he charged. He warned Zambians to brace themselves of hard times as the situation was expected to degenerate further. “Please read their plans, read those medium-term plans read the policies that are there today over the next two to three years, they will keep on raising the tariffs and the ones that are going to suffer most are already the poor working masses and the solution again cannot lay in the capitalist system,” Dr Musumali emphasised.